Easter decorations are a marvelous mashup of pastels, cute animals, and egg motifs. 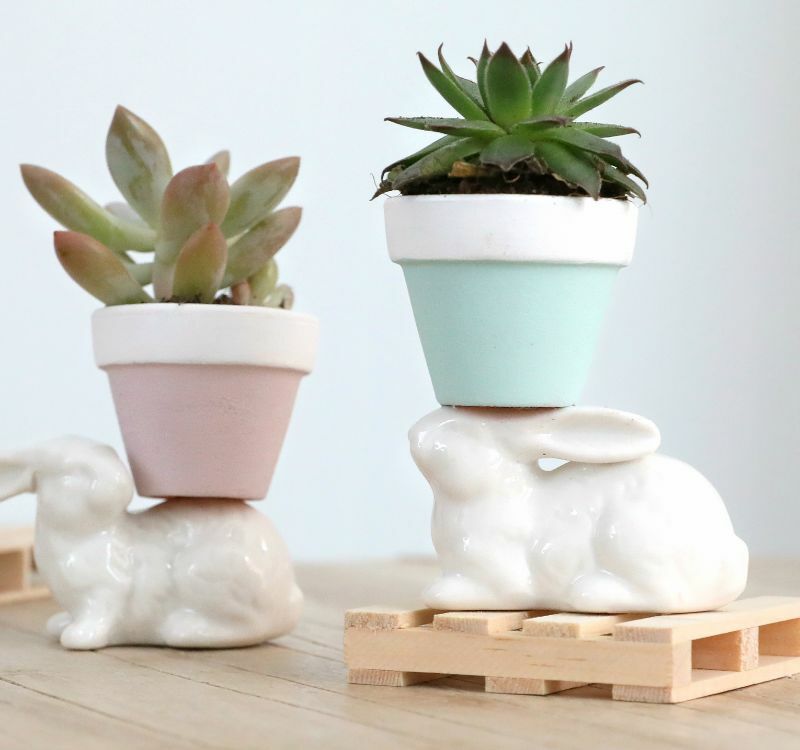 This sweet Easter-themed mini-planter is both functional and beyond adorable. A crafter could whip up a few of these in an hour and have the Easter dinner tablescape completely taken care of. The planters would also add a springy touch to a bookshelf or kitchen counter. Imagine several of these filled with small cacti, air plants, or a delicate ivy variety. A grouping of these pieces would be especially appealing when done in an array of Easter hues, from robin’s egg blue and pale yellow to blush pink and seafoam green. The small porcelain figurines that the diminutive terracotta pots sit atop could be rabbits, chicks, eggs, or spring flowers. This project results in an end product that is simultaneously endearing and nature-inspired. -Small terracotta flowerpot, about 2 inches high with a top circumference of about 2 inches. 1. Squirt the colored chalk paint into one bowl and the white paint into the other bowl. 2. 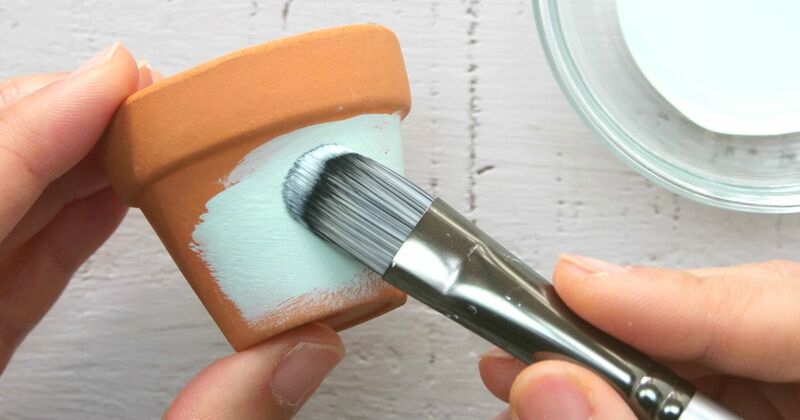 Using the paintbrush, coat the bottom body portion of the pot with the colored paint. 3. Rinse the paintbrush, and shake any excess water from it. 4. Paint the upper lip portion of the pot that protrudes from the body with the white paint. 5. Allow the paint to dry. 6. Apply glue to the spot on the flattest top portion of the porcelain figurine. 7. Affix the pot bottom to the top of the figurine, and hold it in place for several minutes. 8. Allow the glue to fully dry. 9. Fill the pot with dirt and a small cactus or other plant. Enjoy the compliments you will receive when visitors notice this festive Easter accent, no matter where you decide to place it!